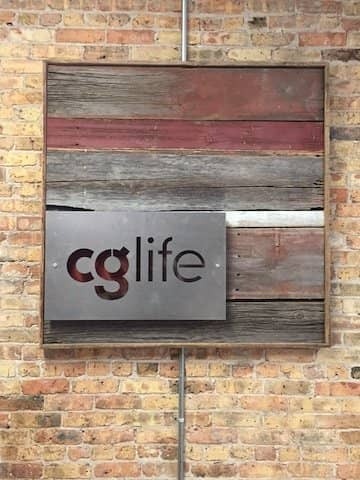 Having your logo cut out of Sheet Metal and placing it on the wall right behind your reception is a great way to impress your customers. 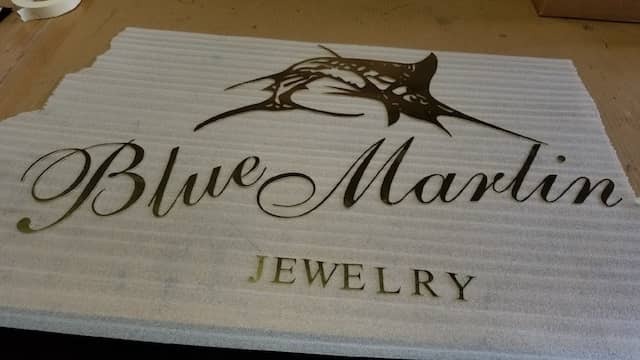 Here are a few things you should know, when thinking about getting a laser cut company logo or sign out of sheet metal. 1. 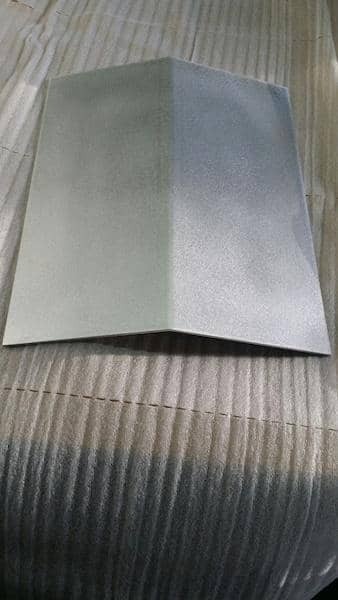 Define the metal you would like to have. Typically you can choose between Aluminum, Stainless Steel or Carbon Steel, but there is also Brass. 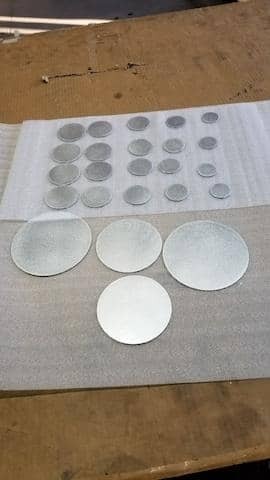 After you made up your mind on the metal it is important to know the thickness and if applicable the finish of the metal. Depending on where you want to place your logo, inside or outside, you may not have all the choices available. Tell us which size of logo you would like to have. While size does matter in regards to the overall cost, programming a company logo can be very time consuming which also depends on the level of detail the logo was designed in. 3. Provide a file that has the highest resolution or is already a vector file from which we can start. If you have a specific font type specify it. 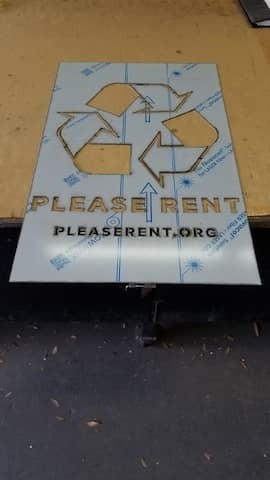 Not every logo is ideal to be laser cut out of sheet metal. There are always a few things you need to watch out for. Take the "i"dot of the word Marlin in the above example. It is basically a metal circle but it is not attached to the rest of the word. Think about how you want to attach the logo to your wall. Now there are alternatives to solve this but keep in mind there are many questions that need to be answered prior to programming a laser cutter. Depending on the logo itself there might be the need to "connect" some elements with each other otherwise that element would either have to be attached to the wall separately or simply fall out of the logo. When deciding to get a company logo or a metal sign made you need to define your budget. Don't go to low as the time for programming the laser cutter is mostly undervalued although it is probably the biggest single cost factor. Remember even if you want a small version cut, the programming time is still the same. Obviously we will laser cut your company logo as fast as possible. But it can take some time to program your logo depending on the details of it. So do plan a timeframe of at least 3 - 4 weeks before you will be getting a shipping notice from us. 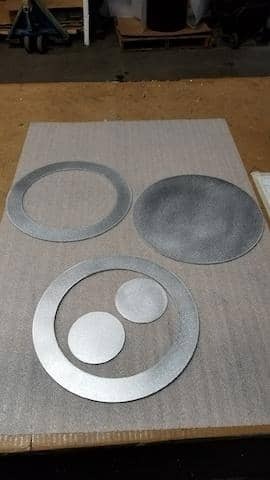 If you have a logo and you are thinking about getting that logo laser cut out of sheet metal, then send us your logo via email and attach your logo or sign in the highest quality resolution you have. Here is a short video, showing you what needs to be done once you place your order. Sheet Metal - we cut it - we bend it - we weld it - 4U!